All car accidents carry a very real and significant risk of injury, but this risk is especially great when a truck is involved. The sheer mass and force with which a truck can collide into a smaller vehicle is staggering, causing severe injury or death to anyone involved. If such an event occurs, the party who is at fault for the accident should be held accountable for any damages that ensue. Sadly, not everyone is ready to admit fault in the case of an accident, resulting in a legal battle just to prove what had transpired. If you or a family member has been hurt in a truck accident, make sure you take the necessary steps to prove fault. With the right knowledge beforehand and an experienced personal injury attorney, you can get the compensation you deserve. 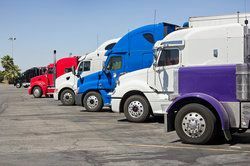 The driver: Truck drivers need to be especially wary of their surroundings, given the size of their vehicles and the blind spots that often accompany them. Any inattentive driving can be a recipe for disaster. Similarly, truck drivers also tend to suffer from fatigue due to long, consecutive hours on the road. The company: If a company demands a particular delivery that cannot be accomplished without sacrificing sleep, they may also be at fault for driver fatigue and thus the accident. Alternatively, the vehicle may have malfunctioned due to poor maintenance. The manufacturer: If a truck malfunctions unexpectedly, it may be due to a manufacturing defect. Problems may also arise if a truck has been serviced poorly or if the defective part has not been brought to anyone’s attention. In order to prove fault in a truck accident, the accident must be conceptually recreated as best as possible. When you work with a knowledgeable attorney, you can rest assured that every avenue will be investigated for telling evidence. This includes speaking with eyewitnesses, gathering police reports, taking photos of the scene, and hearing from auto accident experts. In some cases, we may look at the driver’s history with the company and with driving in general. Ultimately, we need to prove that guilty part was negligent in their duty, resulting in the given accident. When a truck driver is at fault, it is helpful to examine all the ways in which he or she may be have been negligent while on the road. State traffic laws may provide crucial evidence in the event the driver disobeyed them. After reconstructing the accident, we will compare it with any relevant laws such as speed limits, right of way, and roadway markings. In some cases, traffic laws can also prove that you cannot be at fault. For instance, in most cases, you cannot be held responsible if someone hits you from behind, as it is always their responsibility to drive from a safe stopping distance. Similarly, if the truck was making a left-hand turn at the time of the accident, it is almost guaranteed to have been the truck driver’s fault. If you can successfully prove that the other party was at fault for your accident, you can be awarded compensation on multiple fronts. In addition to any damages to your vehicle or property, you can be financially reimbursed for hospital bills, doctor visits, medication, resulting physical therapy, loss of income, and pain and suffering. If a loved one has been killed in such an accident, a wrongful death suit may be filed to award compensation to the family. Don’t let another driver’s negligence continue to weigh down upon your life. Call our office to speak with Chris Olsen and learn what can be done to award you compensation for your accident.